A highlight of the Bavarian Blast games is the Barrel Race! 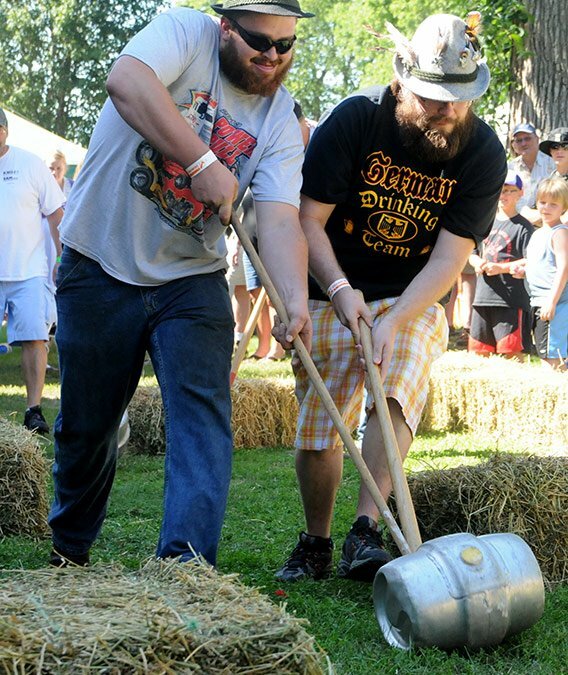 Watch teams of two navigate a beer barrel through a maze using long wooden sticks as their only tool. Don’t feel like sitting on the sidelines? Find a friend and test your cooperative skills! Register 1 hour before the event. Registration is free, prizes awarded to top 3 finalists.